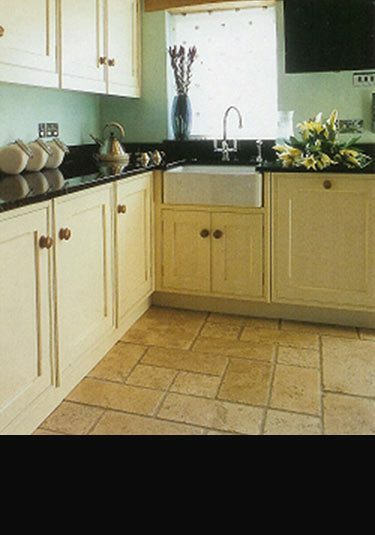 A soft tumbled travertine supplied in 3 stone tile sizes plus a small and large random flagstone pattern. A naturally low porosity stone for good stain resistance. The original travertine tile format as a unfinished stone tile for onsite filling. This tile produces a good looking naturally distressed stone floor once installed. 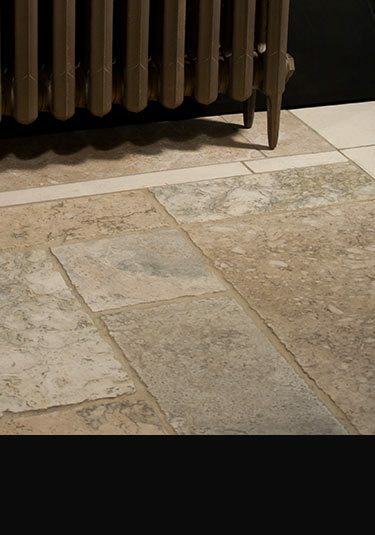 A smooth topped travertine flooring tile with pillowed edge softening, produces an attractive distressed stone floor. 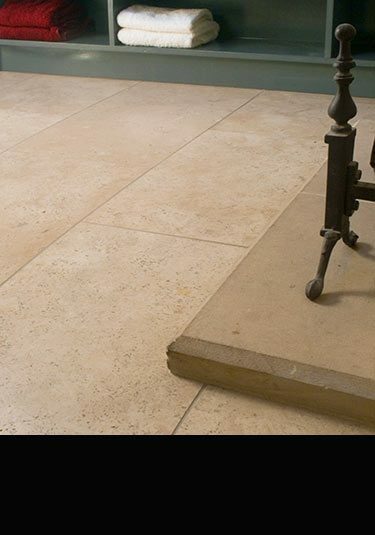 A light coloured prime grade travertine tiles with a honed surface finish. This stone flooring is available in 12 different tile sizes plus small and large flagstone random formats. 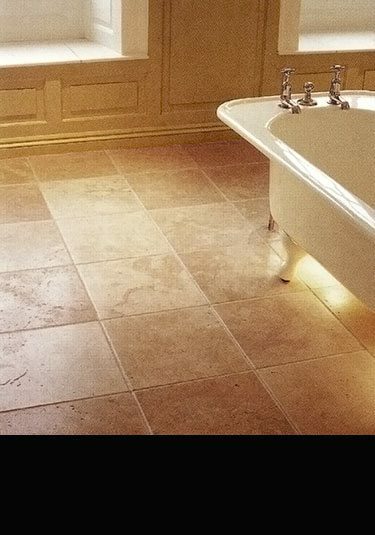 A high quality classic grade travertine with a smooth filled surface and straight cut edges. Available in lots of different sizes these stone tiles are ideal for kitchens and other high traffic areas. A very rustic but effective multicoloured travertine floor once installed. These stone tiles have lots of movement and colour variation and this floor only looks the same stone once laid. Produces a very individual floor and looks very stylish. An unusual grey travertine supplied in a 4 tile random pattern format. Each tile has a smoothed surface with softened edges, producing a smart but subtle distressing. 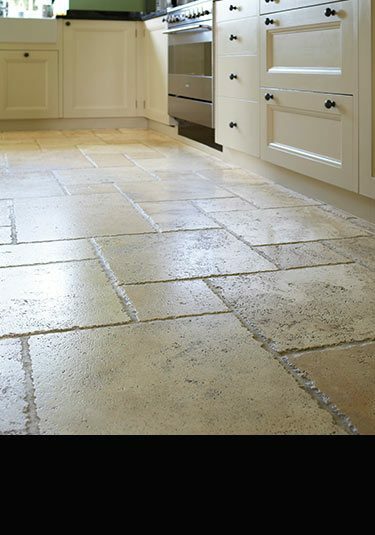 A travertine tile with distressed chipped edges and an unfilled surface for on site grouting making a lovely distressed stone floor once installed. This stone tile is naturally low in porosity and is ideal for kitchens and high traffic areas. 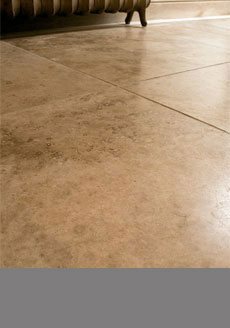 A deep chestnut brown travertine tile that has a smooth honed surface with sawn tile edges. 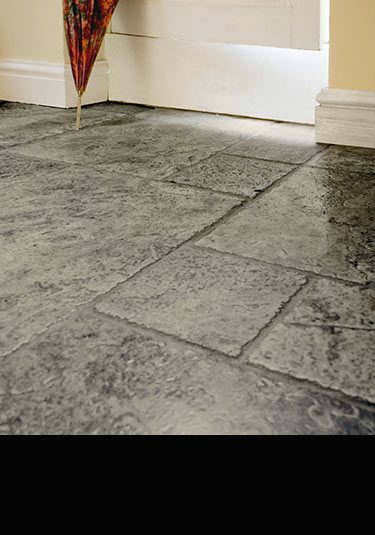 This stone is naturally low in porosity and an ideal choice for kitchens and hallways. A solid travertine marble skirting with a moulded top edge pattern adds luxury quality to an interiors project.